Quest is an important film, bolstered by its incredible subjects and its cinéma vérité style. A few minutes into Jonathan Olshefski’s bold, beautiful, decade-in-the-making new documentary Quest, Christine’a “Ma Quest” Rainey says, “I just like a good storyline.” It’s a throwaway statement, part of the awkward Q&A the director has with Ma Quest and her husband Christopher “Quest” Rainey that is like so many other documentary “getting to know you” chats. There is poignance in the statement, though, as delivered in Ma Quest’s breathy, assertive voice, because Quest has an incredible storyline so filled with hope, despair and rich, complex relationships that it could easily serve as inspiration for a narrative film or even a television series. The Quests supply this storyline, and Olshefski uses this story to tell a larger story about America and the state of the American Dream. 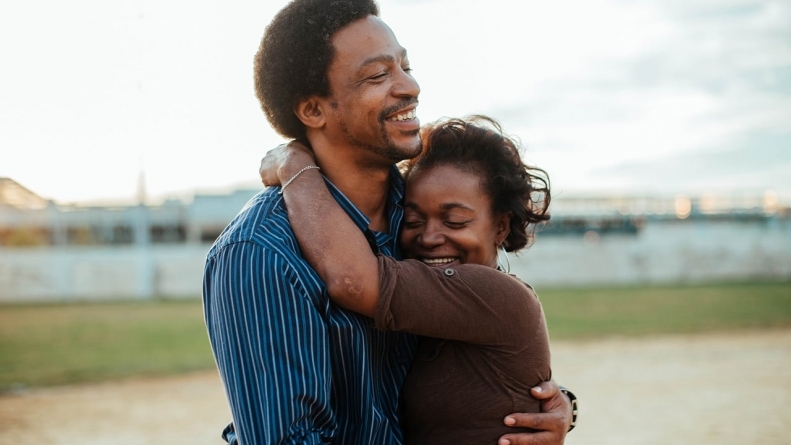 Quest tells the stories of Christopher “Quest” Rainey, and Christine’a “Ma Quest” Rainey, their family, and their community over the course of a decade in North Philadelpha. Olshefski uses gritty, beautiful camera work a fly-on-the-wall perspective to capture the Raineys and their incredible lives. At times, the family seems saintly. They create a safe space for local artists to use and Ma Quest earns money by working in a local women’s shelter. Both are buoys in stormy seas for not only their family but also the array of people, young and old, that they take under their wing. Olshefski’s sensitive lensing captures the strength they impart to others while also showing the family in moments of quiet joy and sadness. This is a film that plays emotions just as well as heart-tugging narratives experiences like “This is Us” but that emotional weight is increased by the authenticity of the delivery. Much of the film is dedicated to observing the Raineys persevere through everyday tragedies, tragedies that particularly affect the black community. This focus on perseverance is exhilarating, but also painful. The Raineys are better than most of us yet consistently have it worse. And while Olshefski isn’t shy about pointing that out, it is also hard not to let the imagination wander. What if everyone treated their community, and each other, the way that the Raineys do? This question makes Quest a hopeful film, as seeing the Raineys in action allows viewers to imagine a better world. Still, while Quest is an important document of the African American experience, the fact that it is the product of a white filmmaker raises concerns. White filmmakers can and should, of course, make films about black people. However, in a world where black suffering has served as white entertainment for too long, a white eye filming black lives cannot go unacknowledged. The director himself has stated that he “became like furniture” while filming the Raineys lives, but the uncomfortable fact that this family was being asked to perform for a white man’s camera remains. It’s a sensitive issue, and an issue hardly unique to Quest and Olshefski. This issue is compounded by the way in which Olshefski takes the Rainey story and uses recent history, particularly the election of Barack Obama, to make it into an everyman story. The Raineys are incredibly unique and deserving of their individuality. Even the title suggests a shared journey, yet the Raineys and their lives are at their most impactful when Olshefski dwells on the parts of their story that speak to the family’s singularity. Quest is an important film, bolstered by its incredible subjects and its cinéma vérité style. Sensitively and ambitiously put together by first-time Jonathan Olshefski, it is the rare documentary that should appeal to broad audiences. Its “plot” is a beautiful combination of everyday events and societal truths. However, the racial dynamics of the filmmaking should be more forthright here, and the Raineys individual achievements deserved to be championed in a film in which they inhabit every corner.